When it comes to work experience, many companies and organizations that makes public their vacant job positions always consider previous work experiences as a major determinant of getting the job. If you have gained work experiences in a developed foreign country which you had displayed a greater effort and commitment while working, it will actually be at your advantage as you would have an upper hand when you include the work experience of the foreign country in your CV when you want to apply for a job in your home country. Individuals who have international referees contact on their CV is likely to enhance their employment when they put in for a job in their home country as individuals with a wide range of global network are assumed to have enough success working in multicultural avenue. Many companies believe these individuals are enhanced to further increase their customers through their various connects. Many employers believe your international work experience success is as a result of your quick adaptability to the new language of the foreign country you had your work experience and they believe you have this communication skills which they might need when passing a message to the targeted customers or clients. 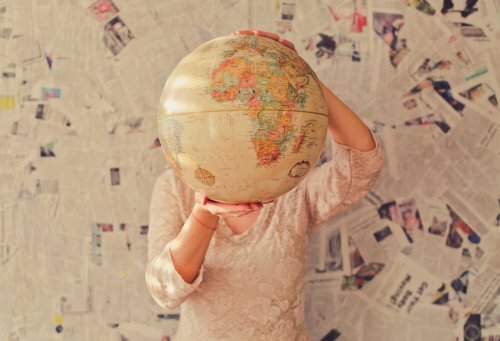 Many employers believe the experience of working abroad had exposed an individual to new cultures and languages that he had not known before and show clearly that he has improved communication and language skills. They also have the insight that you can use your skill to make a difference. When you include your working experiences abroad in your CV, it shows you were able to yield good result in very demanding and challenging task and also able to adapt to the new code of conducts in your work environment. After you had worked abroad and gain the needed experience, it gives you the opportunity to withstand any challenges and situations in any work environment and this your employer knows would boost your employability and likely get the job you applied for in your home country. Employers are always impressed by the fact that you moved out of your comfort zone especially if you had overcome all the challenges during your work abroad. The experience a lot of individuals receive abroad makes them more mature, determined and well adapted person. Employers believe individuals who have work experiences abroad are more exposed to new work situations and systems which makes them to be determined to be successful wherever they find themselves. Whatever work setting you worked in while abroad, make sure you fully explore it as it might be at your advantage when you apply for the job in your home country making you stand out and confident among many job seekers.